The advisory work in agriculture (extension services) is a very important element which has as a result the quality improvement and the production increase of agricultural products. Moreover, in recent years, extension services have made significant contribution to marketing issues by providing critical flows of information that can improve farmers’ and another rural peoples’ welfare. Thus, after a period of intense controversy and frustration, agricultural applications returned to the forefront of modern Western agriculture, playing a decisive role in its developmental perspective. From precision agriculture viewpoint, there is an extra important need for advice and training as simple farmers are not easy to follow technological developments and the progress of science. In fact, almost all research results highlight the need for information, training and advisory as the basis for the successful adoption of precision farming by both farmers and technology suppliers. Εspecially in Euro-Mediterranean countries, this need is significantly greater as farming activities take place in a more traditional way, although precision agriculture is growing rapidly. 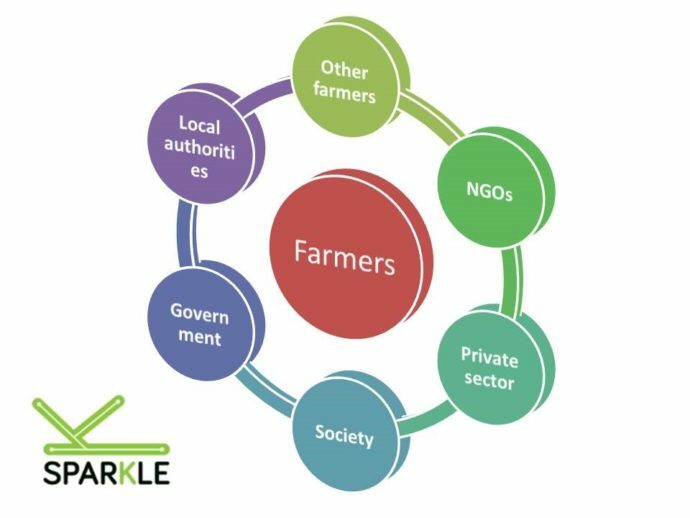 To this end, in Erasmus+ SPARKLE project, special emphasis is given to agricultural extension services, notably through e-learning training courses and the careful selection of educational subjects, curricula and learning tactics. Indeed, until the end of the Erasmus+ SPARKLE project, a significant number of farmers will be trained in specially selected items in such a way as to contribute to the further diffusion of precision farming and to their improvement of economic outcomes, but also to the enhancement of agricultural entrepreneurship.